Do you want to read a compellingly beautiful story of love and healing? This is definitely a lovely, 5 stars read! Synopsis: Marie Durant Chagall, the well-educated daughter of a wealthy shipping merchant, is living a privileged childhood with her half-sister, Solange, in Marseille when their cultured world is shocked into change with the chaos of World War I. Feeling restless and a desire to contribute, Marie volunteers as a nurse with the French Red Cross and quickly finds herself embroiled in the brutal, bloody battlefield of Verdun. Injured both mentally and physically and suffering a severe crise de tristesse sombre, a crisis of black melancholy, Marie eventually returns to life through the unexpected gift from her mother, who had died a few weeks after giving birth to Marie: a house among the lavender fields on the Meuse River, which Marie reluctantly opens up to care for fellow wounded souls. The Lavender House in Meuse presents an emotional, intriguing, and sensitive account of the crises of World War I and one woman's journey towards recovery and growth. What an impressive story. Told through lovely lyrical prose, it is a story of a young woman of Jewish heritage who leaves her home to become a nurse on the war front during World War I. It is very much a tale of trauma and injury and healing. When Marie leaves her sister and father in their Marseille home for the front, she returns injured and emotionally harmed. The world has changed and her father and sister prepare to leave France for America. 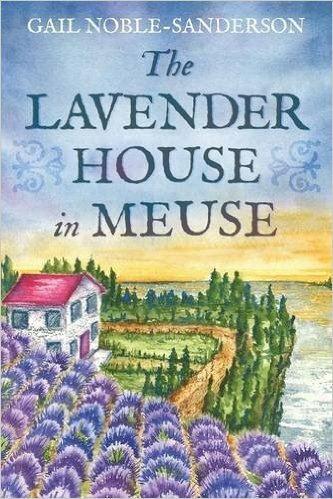 As she heals, she learns she has inherited her late mother's home in Meuse surrounded by fields of lavender, and decides to forego joining her father and sister to make a new life for herself. Alone for the first time in her life, she finds tranquility and healing there, despite accepting desperately wounded soldiers for nursing. Through Marie's point of view, the reader experiences her emotions and journey of healing. Wonderful descriptions of people and places really bring to life rural France. This book is definitely worth reading - poignant, real, and historically fascinating!